Alicia Tsuchiya was born and raised in Ensenada, Mexico, surrounded by sea and mist. Affected by an ear affection, she lost her hearing in her early childhood, and though she recovered it after surgery at age 6, her primary relation to the world was initially visual. Her interest in photography was cultivated in the cultural courses of the State University of Baja California. She extended her photographic knowledge and practice when being accepted to the Photography and Image in Movement Seminar at Centro de la Imagen in Mexico City; and immersed into the photographic arts joining as assistant director of a fine art photography gallery in Mexico City as well. Minjin Kang is a contemporary photographic artist based in Brooklyn, NY. She moved to the United States in 2008 where she received her BFA at School of the Art Institute of Chicago (2011). In 2014, she acquired her MFA at University of North Carolina at Chapel Hill. Her work has been exhibited in the U.S nationally and internationally such as Asia contemporary Art Show in Hong Kong, Arpny and bcs gallery in NYC, and Aqua Art Miami in FL. College of Art and Design in Georgia. She began making images through film and darkroom process in 2005 and now brings her compassionate perspective and seemingly bottomless reservoir of chameleonic emotions to her work in medium and large format color film. Anna is also an editorial assistant at Aint-Bad, an independent publisher of new photographic art. Her work has been shown in exhibitions throughout the U.S., and most recently as part of a digital display at the Louvre in Paris. She instagrams a lot, feels feelings a lot, and goes jogging approximately once a month. Please feel extremely free to contact Anna at any time to purchase prints or ask questions, as she will most likely not be out exercising. 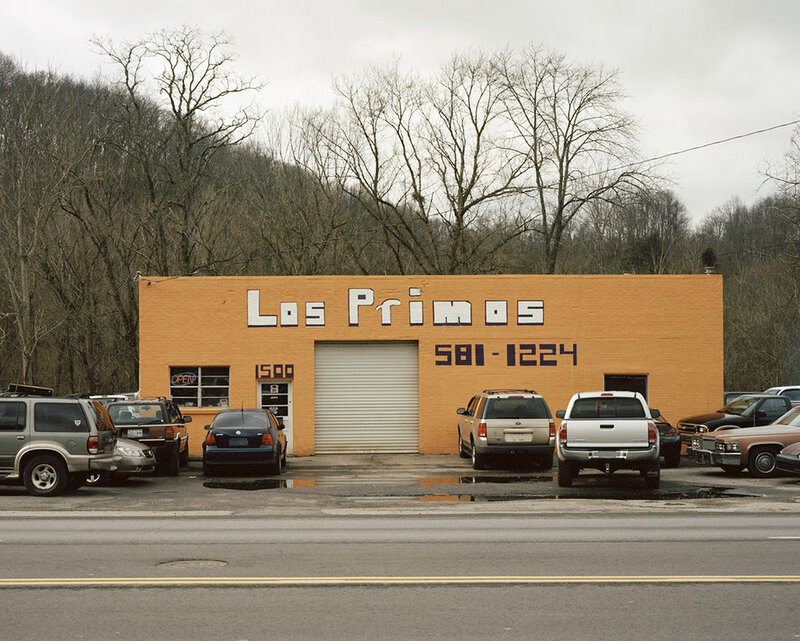 This representation of a growing Latino culture in the hills of East Tennessee hints at the changing social landscape of the area, the symbiotic relationship of the Latino and Appalachian cultures, but also, how both cultures have acclimated. 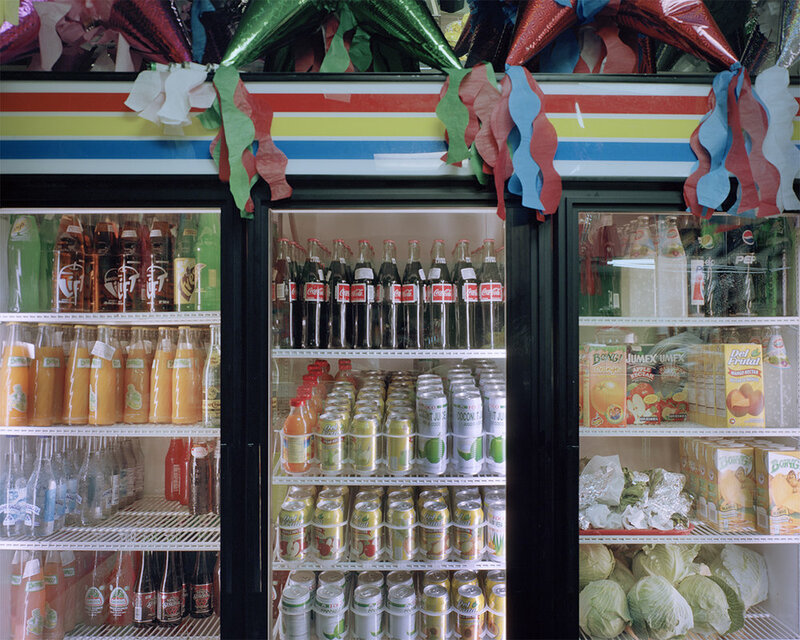 In a visual juxtaposition to Appalachian heritage, Hispanic culture is represented by vibrant colors, a variety of foods, and often traditional decorations. 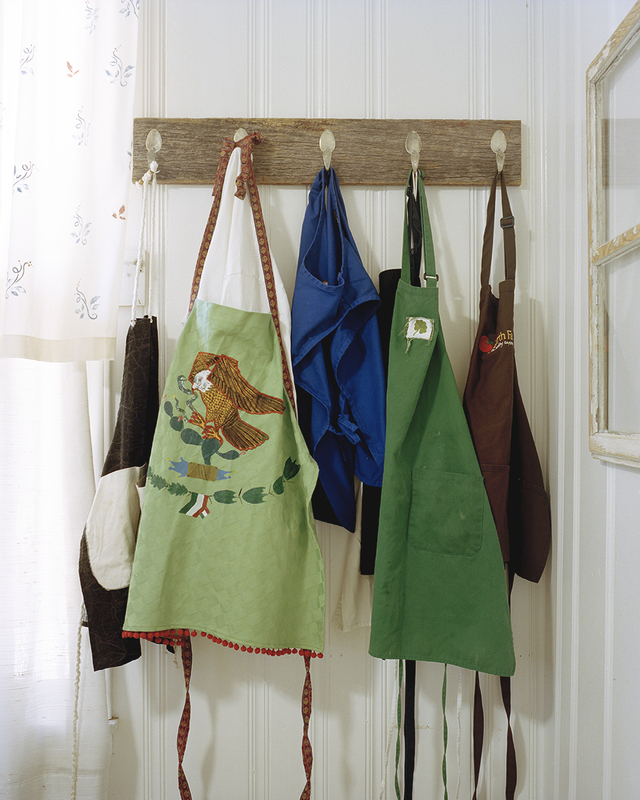 These aspects are seen in photographs of colorful businesses, churches with bilingual signs, artwork in homes, and other aspects of the community as individuals claim and negotiate their sense of place. Through the images, viewers are introduced to the importance of emerging diversity in this historically conservative region of the United States; however, because of the forced fusion of these two cultures, we see similarities between the cultures that allow them to blend indiscernibly at times, creating an illusion of acceptance. 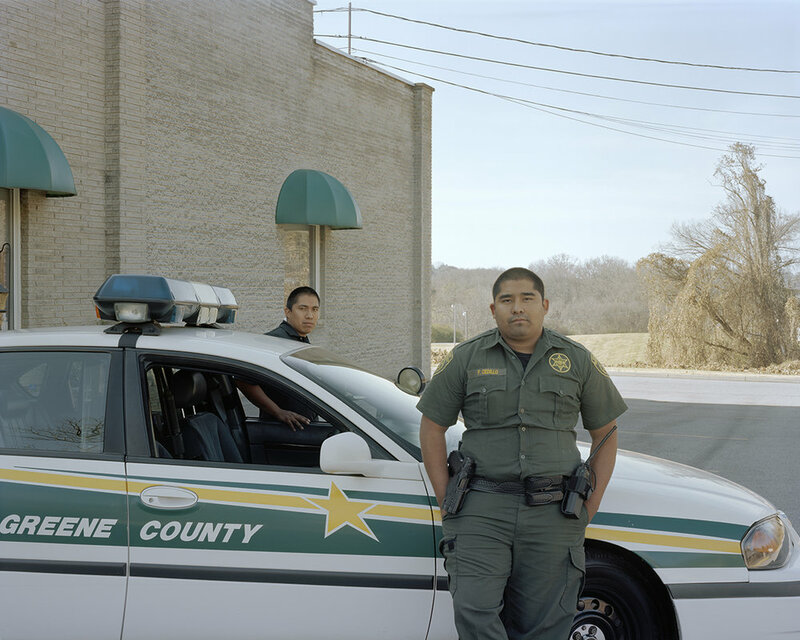 Photographing police officers, business owners, my neighbors, and friends challenges the stereotypes fueled by discriminatory political rhetoric that many Appalachians maintain. Megan G. King is a photographer from Bristol, Tennessee currently based in Syracuse, New York where she is pursuing an MFA in Art Photography at Syracuse University. Much of her work is rooted in exploring social landscapes, subcultures, and relationships with a focus on representing marginalized groups. King received a Bachelor's degree in Spanish and a BFA in Studio Art from East Tennessee State University in 2013. She is a photo editor for Looking At Appalachia, her work has been exhibited all throughout the Eastern United States, and work from her series Hispanic Appalachia, which focuses on the emerging Latino community of East Tennessee, has been featured in several publications including Oxford American's EYES ON THE SOUTH, NPR's CodeSwitch, and Politico Magazine. You can see more of her work here. 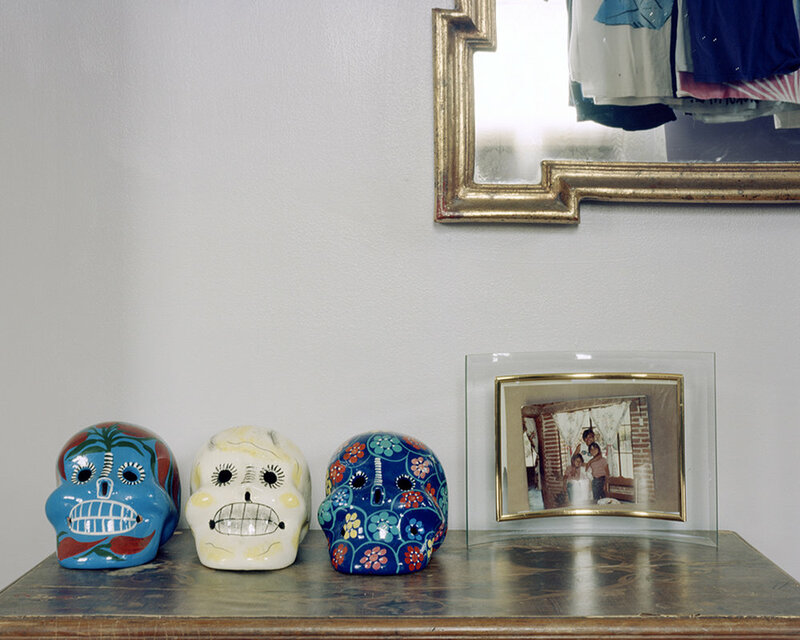 Rebecca Sittler is a photographer, writer and Professor of Art at CSU Long Beach. 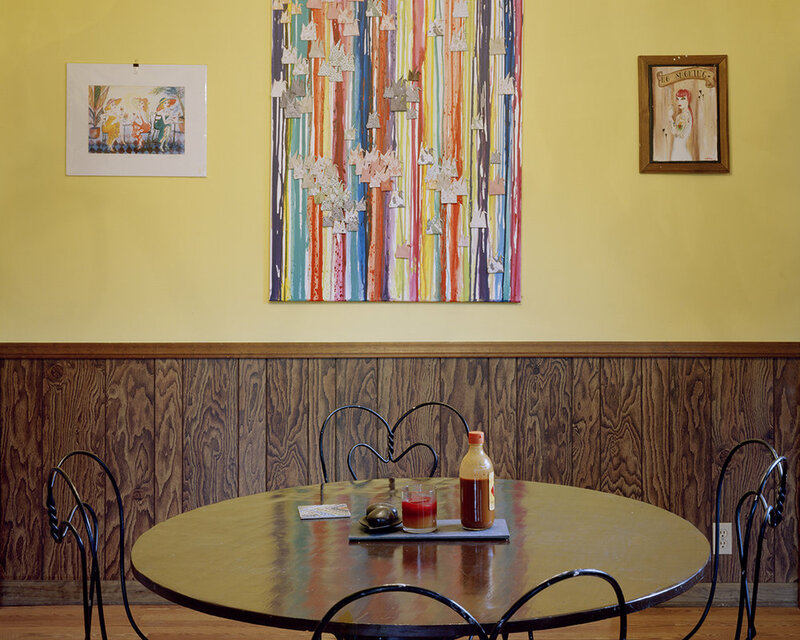 She has exhibited her work in over 75 exhibitions in the last 10 years at venues such as: Sam Lee Gallery, PCNW, Torrance Museum of Art, the Griffin Museum, Atlantic Center for the Arts, RayKo Gallery, and the PRC, Boston. She received her MFA from Massachusetts College of Art in 2003. Her recent series, All the Presidents’ Men received a 2015 Collection Award for Innovation in the Documentary Arts from the Archive of Documentary Arts at Duke University. Laura Wiseman (b. 1993) is a senior at Washington and Lee University in Lexington, Virginia. Laura was born in London, England and lived in both England and Ireland before moving to the United States in 2007. Her work explores the complications of womanhood while combining old and new practices to stretch the medium’s expectations. Laura is inspired by herexperiences as a multi-cultural woman who has travelled for much of her life and integrates these experiences into her work. After graduating from Washington and Lee University in May 2016 Laura will return home before starting an internship with Sally Mann.